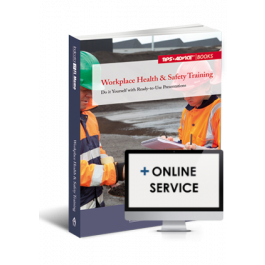 This to-the-point book provides all the health and safety training material you need for a safe, skilled and productive workforce. Rather than paying for expensive external training, you can do it yourself with our 12 ready-to-use PowerPoint presentations and series of short training guides. With this book, you'll save time and money and gain peace of mind. All the training presentations cover sufficient detail so that your staff are fully familiar with the associated risks. Plus, they're fully downloadable for your ease of use. Adapt them to suit your requirements.